This Large Amish Hardwood Carved Toy Chest is great for keeping your children's rooms clutter free. Built from your choice of Oak (standard), Brown Maple, or Cherry woods and durable enough to last for generations. 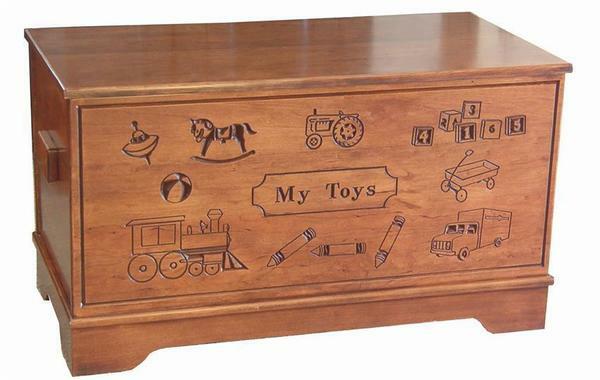 This toy chest has some great images of toys carved into the side of the chest. Handcrafted by Amish woodworkers from 100% hardwoods right here in the USA! 36" x 18" x 20"